Seeing as I’m trying to cut out complex carbs (pasta, bread, and pizza in particular), I’m attempting to come up with recipes that are both yummy and healthy. 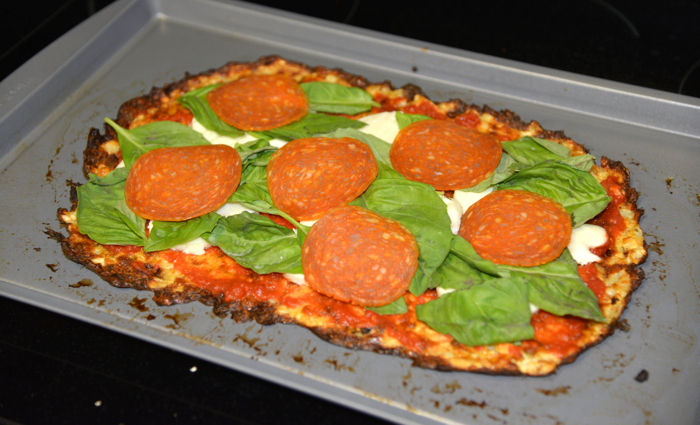 Thanks to Google Search, I found this amazing recipe for a Cauliflower Pizza Crust. I was quite skeptical about the legitimacy of this as similar to a normal gluten-filled pizza crust. I was shocked to discover it was mouth-watering just like any old New York slice. To be honest, I really wouldn’t have been able to tell the difference. I actually think it had more flavor than most pie slices I’ve had in the past. It’s easy to make and only around 50 calories a slice (compared to the 200-400 per slice of normal pizza). I will definitely be making it again. 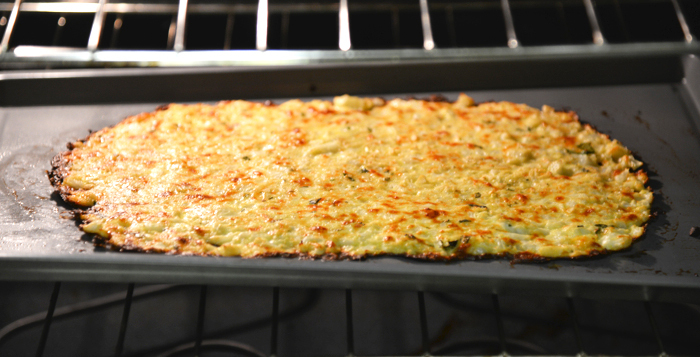 Get the amazing recipe here! Wow, so trying this! 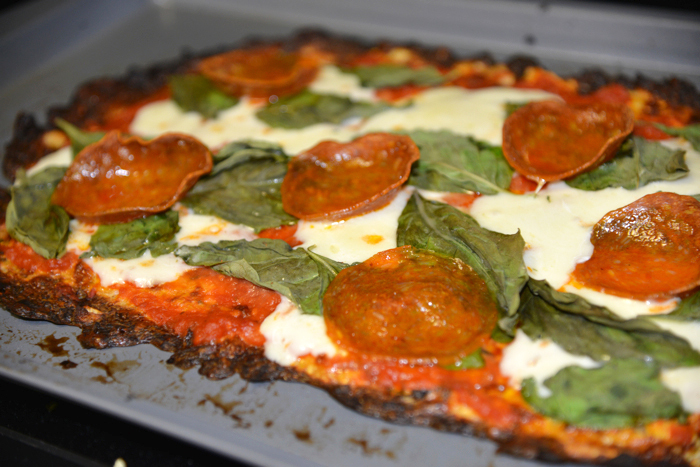 I’m a pizza addict – so I could end up eating this everyday! This looks yummy! I’ll have to try it out. This is so great! I’m going vegetarian this year as one of my New Years Resolutions so I could definitely make this (without the meat of course haha). Thanks so much for sharing! Yum that looks delicious! I love pizza, but I don’t eat complext carbs either, so this is perfecet! Thank you for sharing! Is there anything you would have done differently or any changes you would make to the recipe next time you make it? Tips? This recipe has been on my list to try! I’m glad to hear that you liked it! I am trying to eat less gluten this year, and this recipe just moved to the top of my MUST try list! Thanks for sharing!